World Pair Go Association has made Pair Go event as official ever since the year 2008 in Beijing, with sole purpose to promote, foster and develop Pair Go throughout the world and as an international title. Brunei Darussalam Go Association is being requested to apply membership as part of World Pair Go Association right after the approval of International Go Federation. It has been more than 6 score-years to reach this goal; countless ordeal to tackle and unforgettable supports from many. However this is just a starting point. 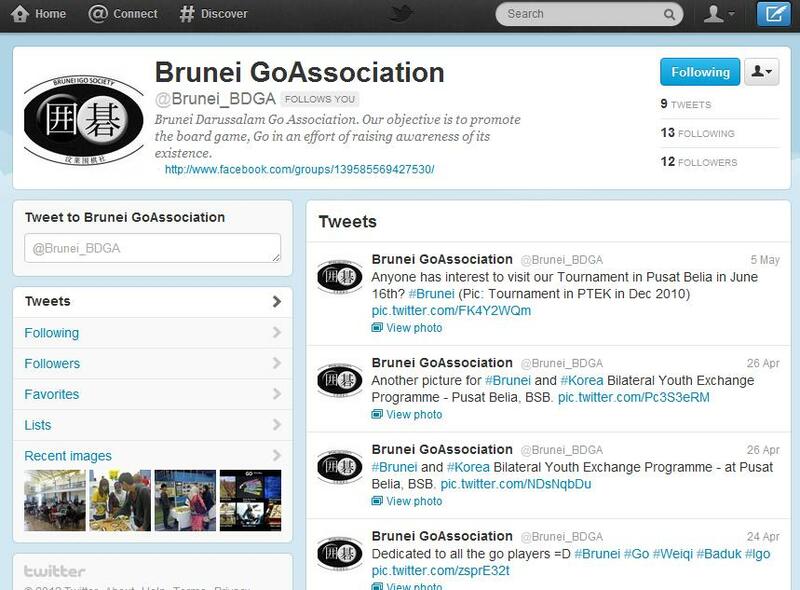 Don’t forget to follow Brunei Darussalam Go Association in Twitter at @Brunei_BDGA and Sin Voon (Xinwen) at @xinwengolife! Due to the popularity of twitch.tv, ustream.tv and many others where people could stream their tv live online open to all viewers and observers. Baduk TV has also followed up to the trend at http://210.122.100.217:8080/Demo.html. However, it is not very certain how long it remains free streaming but it is worth for everyone to watch to catch your korean professional player in action!